This may seem like a complex topic but sometimes it’s good to take a step back and look at the big picture. We want to hear out of the box ideas, comments from different perspectives and from different walks of life. The National Assembly for Wales’ Enterprise and Business Committee undertook an inquiry into tourism in Wales. The report was published in November 2014. Tourism is worth £6.9 billion a year to Wales, or 13.2% of GVA. As a sector, it supports an estimated 206,000 jobs and is one of our three biggest employers. Tourism is also one of our biggest export industries, with 80% of visitor spending coming from outside Wales. Since 2005 it has been the fastest-growing sector of our economy. One fundamental issue that was raised with us was the scale of Welsh Government investment in tourism. We heard that the marketing spend on tourism in Wales was roughly equivalent to that of Glasgow, and several stakeholders felt that more money was needed to promote our tourism offer. Time and again we heard that Wales needed a more visible and coherent brand that tourism businesses of all sizes could tap into—particularly through the Visit Wales website, which should be the hub of our marketing activity. The ‘brand’ for Wales is beginning to strengthen, however the very nature of the country and all it offers makes it extremely difficult to generate a single unifying brand. Visit Wales should involve tourism businesses more closely with its advertising campaigns, so they understand better what Visit Wales is trying to achieve, and can co-ordinate their own work accordingly. The Welsh Government should do more to encourage joint promotion of heritage assets, including those outside of its care, building upon existing examples of good practice. The Welsh Government should do more to maximise the tourism impact of major events and ensure that Wales’s success in hosting major events feeds through into a strong Wales tourism brand. The Welsh Government must do more to increase and improve VisitBritain’s promotion of Wales. Given the value of tourism to Wales’ economy and the rich range of natural, cultural and other assets in Wales, we believe the Welsh Government, working closely with key stakeholders across Wales, should ensure that tailored support is available to maximise EU funding opportunities to help grow the industry in Wales. The In Brief blog is written by the Research Service at the National Assembly for Wales. What next for tourism in Wales? Senedd.TV is the online broadcast channel for the National Assembly for Wales. It captures everything that happens in the Senedd Chamber and Committee rooms, broadcasting live and collecting an archive. Plenary meetings are attended by all Assembly Members and are one of the mechanisms for Members to hold the Welsh Government to account. Wales.com – Billed as the ‘Official Gateway to Wales’ this is a website designed to give an overview of Wales as a nation to those outside of it. Branding for Countries – How do they compare? To get an objective idea of how Wales is marketed and perceived you can look at Welsh, UK or Global Media perceptions. Some are commissioned marketing articles and others are natural coverage presenting a variety of viewpoints. (Wales Online) Can you guess the Welsh landmarks, celebrities and foods Chinese tourists came up with these bizarre names for? How Celtic Manor is the perfect venue to create your own piece of Ryder Cup magic (Mail Online) Is INLAND WALES the best surf spot on the planet? The Committee for the Scrutiny of the First Minister was established in 2012 with the remit to question the First Minister on any matter relevant to the functions of the Welsh Government. Rt. 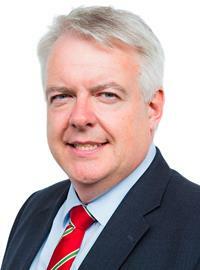 Hon Carwyn Jones AM is the current First Minister of Wales. The First Minister of Wales is the leader of the Welsh Government and is appointed by HM the Queen following nomination by Assembly Members.